With nothing attached it looks and behaves like a tablet; with a keyboard dock it behaves like a PC; with two cylindrical rumbling controllers attached either side it behaves like a mobile console; and with a docking station it behaves like a console. 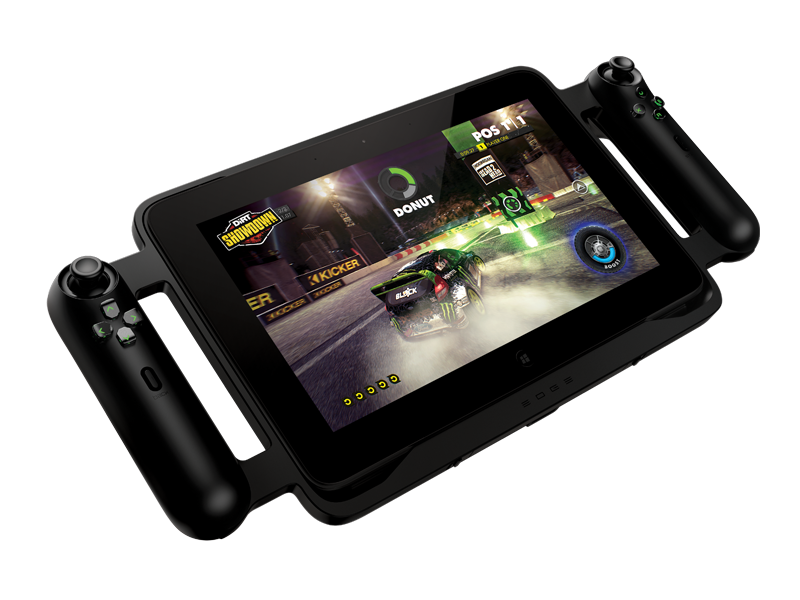 It's "the world's first tablet designed for PC gamers", if you listen to Razer, and "the most powerful tablet in the world". It was also known as Project Fiona last year. 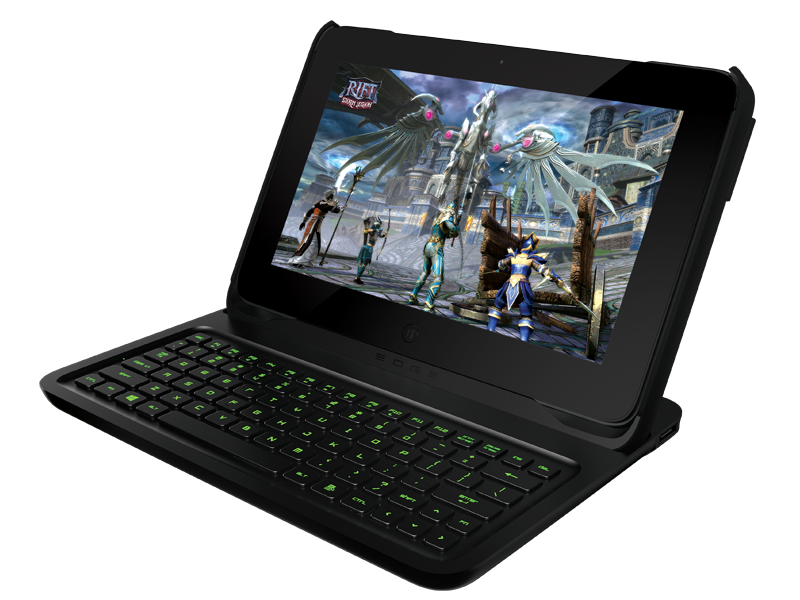 There are two Razer Edge models: the Edge and the Edge Pro. 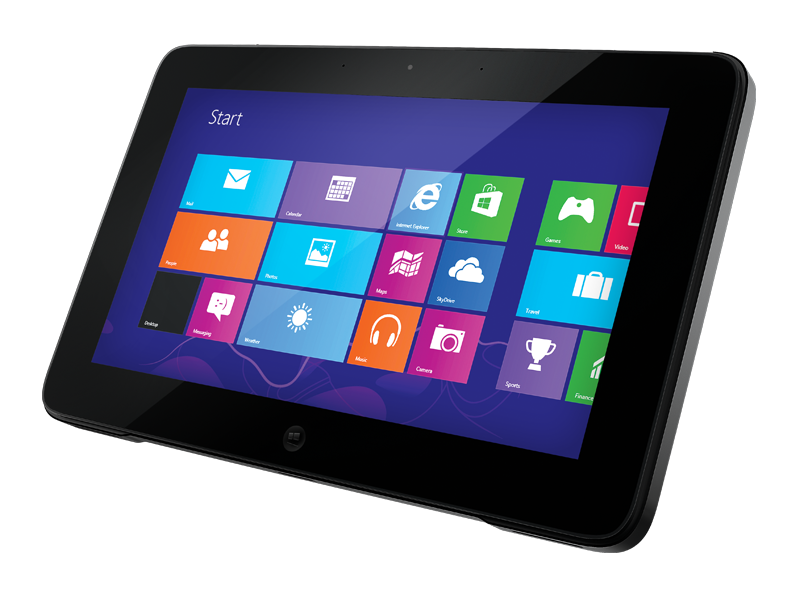 Prices start at £650 for the Edge, and Pro prices go up to £1000. They're due Q1 2013, but only in the US. 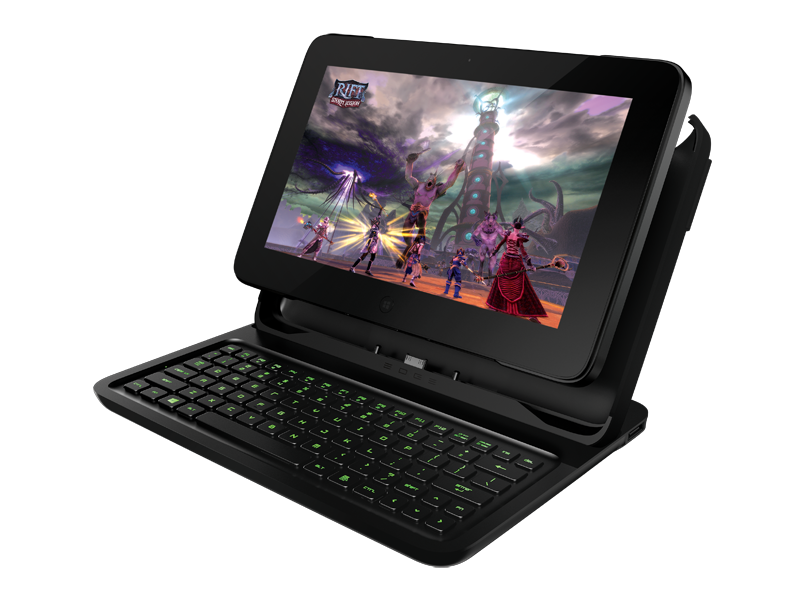 "What separates the Razer Edge from other high-end Windows tablets - aside from its various peripheral add-ons - is the inclusion of the Nvidia Kepler graphics core. We've seen a similar combination of Intel ultra-low voltage CPU and GeForce GPU before in the Acer Aspire Ultra M3, where we witnessed some surprisingly strong performance: Battlefield 3 ran well at medium settings, Crysis 2 played nicely at very high while Skyrim was smooth even on the high graphical preset. 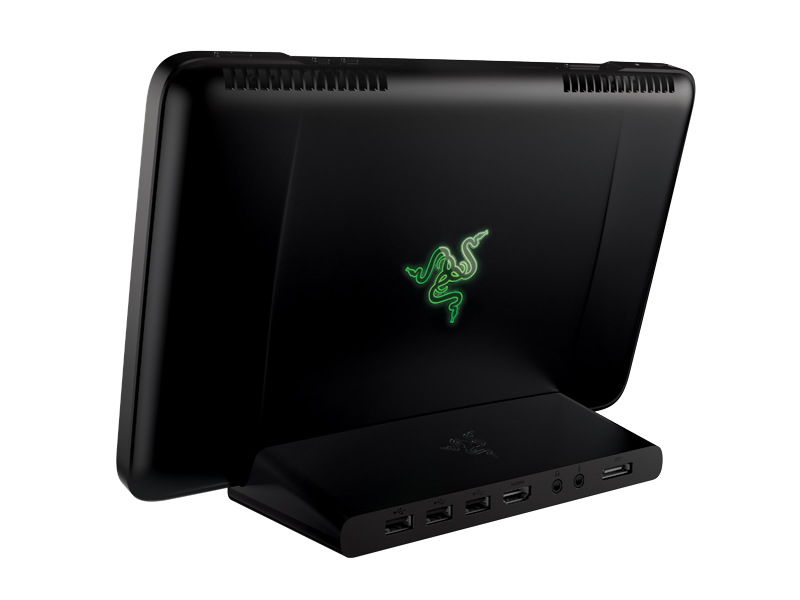 "However, while the Acer features the standard GeForce 640M, the Razer has the 640M LE, which sees clock speed diminish by 20 per cent, which will undoubtedly impact performance significantly. This should be a worthwhile games machine and the base $999 price-point sounds pretty reasonable, but future PC releases may struggle to run well on it." Gizmodo had a go on the Edge Pro at CES. First impressions: it's a bit fat but it's shaped and built well and feels light. 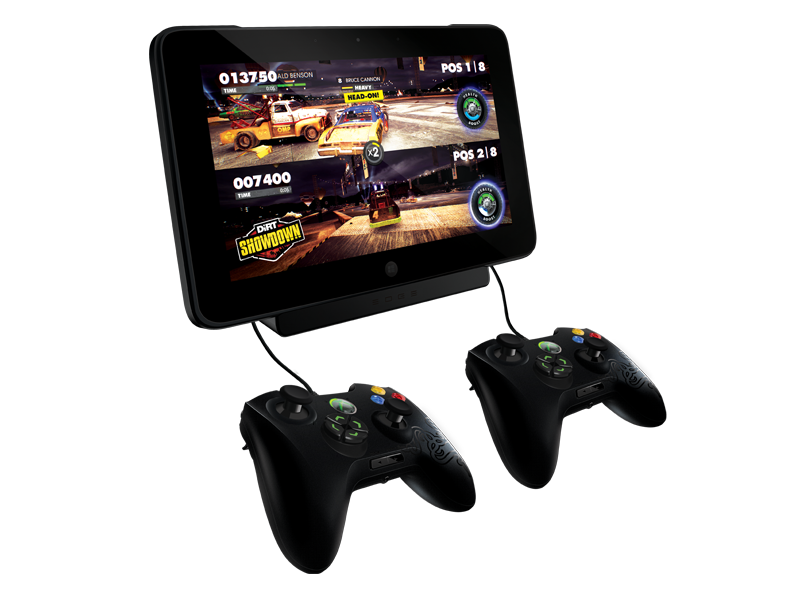 Of the accessories, the two "mobile console" controllers added "a good bit of heft" and the keyboard (not out until Q3) had keys that felt a bit small. No mention of the dock. Performance wasn't bombastic; Rift was running on low settings although Dishonored was "flawless" and Dirt Showdown "totally fine". But apparently performance "totally blew away" that of the Dell Ultrabook and MacBook Air. Steam's Big Picture worked "flawlessly". 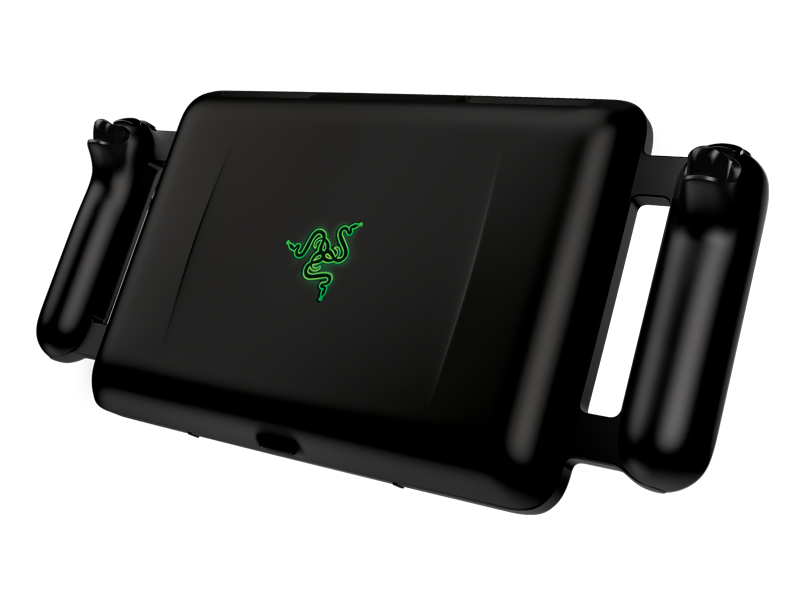 But more importantly, Gizmodo thought the Razer Edge Pro had enough quality - with the keyboard - to be considered as "your everything machine".